It was the sudden passing of Paul, one of our elementary school batchmates that convinced us to push through with a grand reunion. He was 28. Paul is the first boy from the right on the front row. When I visited his wake, meeting Paul again for the first time since 1993, I promised him we would continue with the reunion. So, here we go. 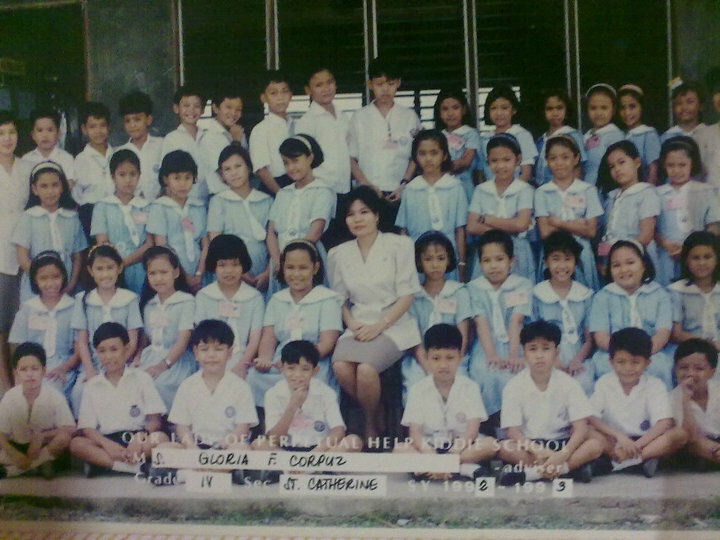 OLPH "Kiddie" School Alumni - Grade 6 Graduating Class of Batch 1995 will be celebrating our 15 year anniversary in December. The school has since dropped the "Kiddie" tag. It now caters to students from Preschool to Highschool. Also, most of the old buildings have been replaced with bigger and better ones. Nevertheless, it would be interesting to walk around the school grounds, the rooms and the hallways that were once upon a time my second home, and reminisce with my old friends and former classmates. It's been a while since I last visited. I have very few memories of my days in "Kiddie School" - more surprisingly because my former classmates seem to remember everything so vividly. They were telling me about our antics, the pranks we pulled on other classmates, and how noisy we were in class. For some reason, I don't remember most of it! Which only actually intensifies my interest - it's almost like I'm rediscovering my childhood. Haha!